The zesty citrus flavour of lemons and the warming spice of ginger complement each other perfectly in Clipper Organic Lemon and Ginger Infusion. 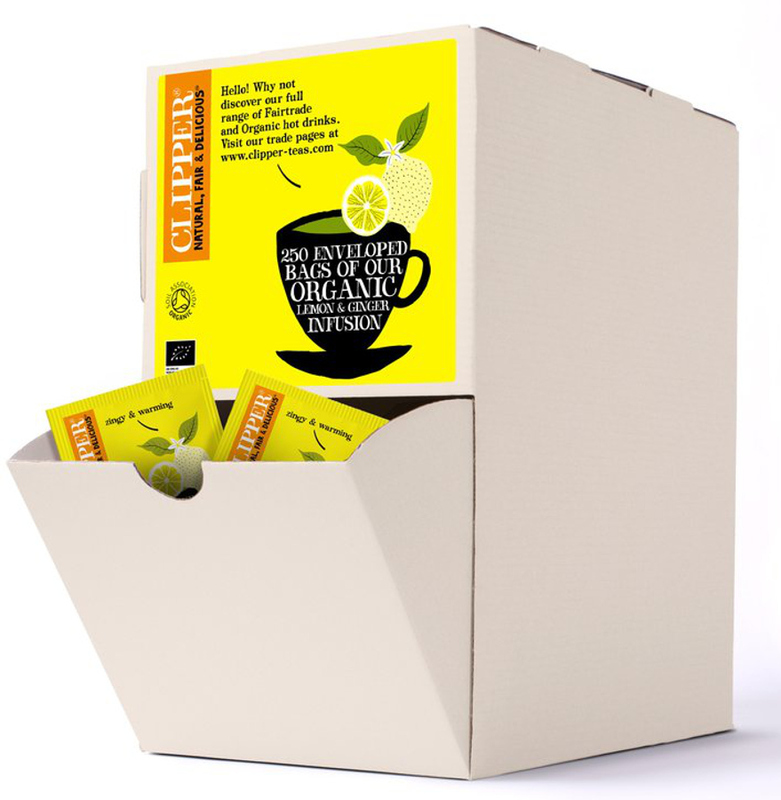 Another stunner in their organic, caffeine-free range of teas, this lemon and ginger combination is the perfect natural refreshment. The Clipper Organic Lemon & Ginger Tea - 250 Bags product ethics are indicated below. To learn more about these product ethics and to see related products, follow the links below. There are currently no questions to display about Clipper Organic Lemon & Ginger Tea - 250 Bags.